Our spiral-shaped Milky Way galaxy lives in a comparatively quiet backwater region of the universe. This is not the case for galaxies crammed together inside huge clusters. As they zip around within a cluster, gas can be pulled from their disks due to a process called ram pressure stripping. Galaxy ESO 137-001 is one example. 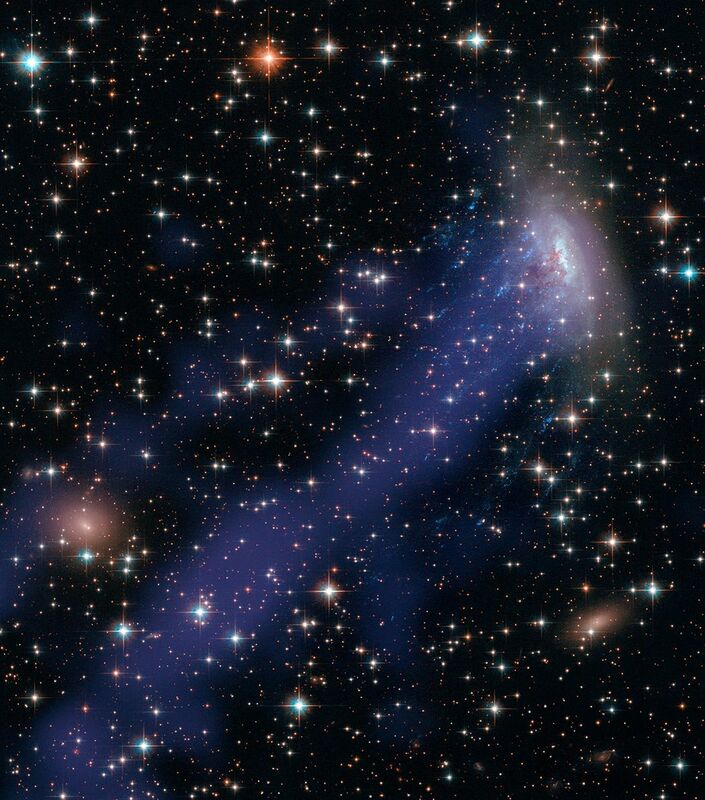 The star-city looks like it is "leaking" as it plunges through the Norma galaxy cluster.